It is true that Steve Jobs was very much needed at the helm of Apple, but he knew very well whom to choose as his replacement. Besides him, there are some faithful squires: Phil Schiller, marketing, and Scott Forstall's iOS Jonny Ive, the design wizard, something like a "spiritual heir" of Steve Jobs at Apple and primarily responsible for "carrying the fire" of new products. To manage the company he founded and then returned to save from bankruptcy and financial collapse, the creator of the iPad, iPhone, iMac and iPod chose Tim Cook, a practical person, quiet, curious credential for the position. As I predicted in the text of last year, Apple went through its first year without their commander with great success, and even became 75% more valuable than it was. Responsible for the creation of the shops, for negotiating with Chinese partners and the flawless logistics of Apple, Tim Cook had a big part in transforming the Apple world's largest company. The Apple CEO is completely different from Steve Jobs; unlike the old boss, Cook is a person who is willing to go to the Foxconn factory in China to treat the matter personally of suicide cases of officials. The new face of Apple's most friendly and relaxed, and even the drive control with which the company ran seven keys to their greatest secrets seems to have been forgotten somewhere in the past. And the changes do not stop there. In a move surprising to those who follow the history of Apple, Tim Cook came to apologize to the customers for the problems of Apple Maps a week after the release of iOS 6. When there was the antenna problem of the iPhone 4, Steve Jobs took almost two months to hold an event to handle the "Antennagate", and plastic bumpers offer to those who had purchased the Apple smartphone. 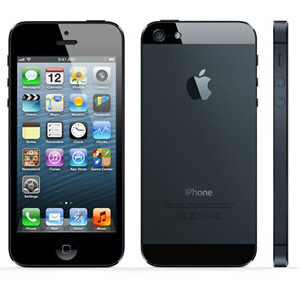 The future depends on the success of Apple's iPhone 5, and the prospects are very good. Tim Cook was very comfortable on stage at the launch of the iPhone 5. In a gesture that does not want to steal the spotlight from his team, Tim Cook left Phil Schiller's time to take the stage and introduce the new iPhone. Phil was not as comfortable, but made up for it with good humor. They knew very well that the product that Apple was releasing was not a revolution. After you create the most beloved smartphone on the planet, everything gets complicated when changing from this moment to the next. My only problem is lack of progress on the iOS 6, because in terms of hardware, I think the iPhone 5 is almost perfect. Your screen may not have technology or have super AMOLED 4.7 inches, but has the ideal size. I confess that when using Android smartphones with very, very large screens, I find the small screen of the iPhone 4S. It needed boost, but not much. If you raise more, it will be spoiled, at least in my humble opinion. Like its predecessor, the iPhone 5 is a masterpiece of design and simplicity, with the signing of Jonny Ive. It is easy to recognize touching Steve Jobs this product as well as new models of the iPad and the new MacBook Pro with retina display. Do not be surprised by this, because, according to reports, Jobs was involved in projects that Apple will still launch in the coming years as the long-awaited iPad Mini. The first year of Apple without Steve Jobs was a huge financial success, the company's stock going up and the company's products have never been used so much as now. The iPhone 5 is Apple's big bet for the holiday season, and the bid is high, because beyond it being the best selling product and best known Apple also has the potential to bring new users to iOS and also for OS X, helping to sell iPads and Macs. The impressive success of pre-sales and sales in stores, the iPhone 5 looks like it will live up to all these expectations. Steve and Jonny certainly worked together on this project, a refinement of the original design of the iPhone 4 and 4S. When Apple says that it is the thinnest smartphone in the world, they talk about the full thickness of the device. Models of Motorola and other companies are even thinner, but have integrated cameras that increase the thickness at a given point. I always find grace this title of "the world's thinnest", it is always an honor to validity, until creating another even thinner. Without entering into this controversy, I say that the new iPhone has the merit of being simple, and that is exactly what differentiates it from others. Those who speak evil of the device will now have to eat their words because it will continue to sell much. This is the great trick of Apple, as MG Siegler writes this brilliant text, one of the best I've read this year. By the time the person gets to the store and gets the device in hand, one is convinced they need to have it anyway. While Apple continues launching products like this, Apple's future is assured, and Tim Cook knows this better than anyone. Cheapest rates on Sweden international calls you will see in Continental web page. For calls from Canada to another countries the best to use Royal Call telephone cards. For phone calls from Turkey to another countries best to use AT&T phone cards.